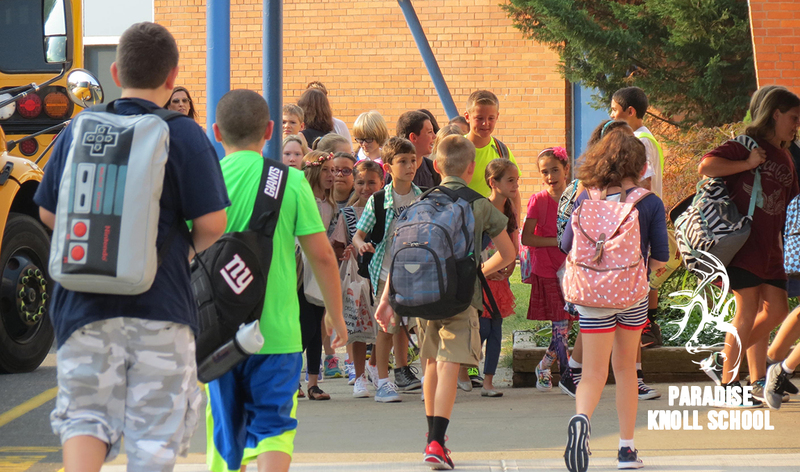 Students at Paradise Knoll School — Do they know where the school derived its name from? I attended Paradise Knoll Elementary School from 1971-1977. I have many fond memories of my time there as well as a student. 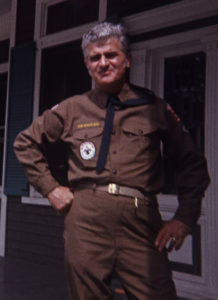 I also have wonderful memories of the various events that took place on Friday nights as a member of Cub Scout Pack 44 and Kathy Rupp as my den leader. The most anticipated scouting event in the gym was the annual pinewood derby with the track set up from the stage down onto the gym floor. 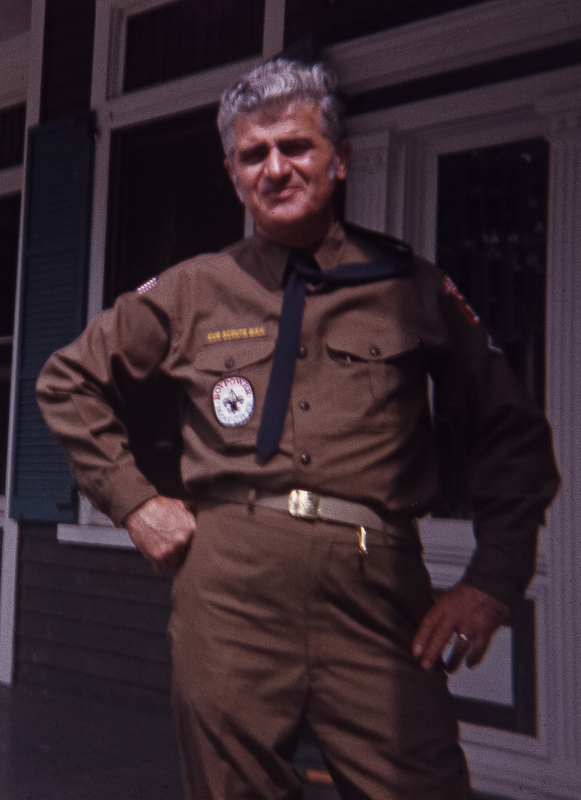 I had the added benefit of having my dad as the cubmaster. I remember him playing Santa Claus every year at the holiday party. It never dawned on me in my years while at Paradise Knoll, the origins of either Paradise Road nor the namesake school that educated local children for many years. I seems to me that current day perception of the geographic center of Paradise is the development of homes and the surrounding vicinity of the elementary school. In fact, the namesake of Paradise has it’s origins quite deep into the interior of current day Newark Watershed property on the eastern periphery of Dunkers Pond. As you will read further down the page, Anthony Ludlow Day established a homestead deep in the heart of Paradise. In the coming weeks I intend to hike into the area in hopes of locating the homestead site. Anthony Ludlow Day was the father of Dr. Edgar Day who would go on to build Idylease in the summer of 1902. I do not recall any block of instruction that addressed it’s history or any block of instruction on general local history. As a 1984 graduate of West Milford High School there was never any discussion or curriculum about West Milford history. As a preservationist and one keenly interested in the past, I thought I might share some early history that was provided to me by Beth Willis whose family relatives hailed from the area during the mid 20th century. 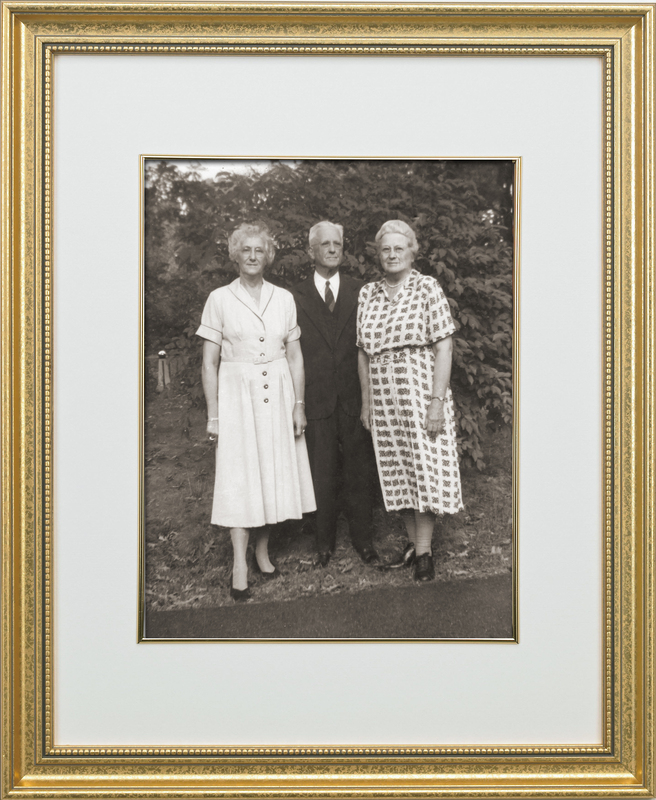 Beth is a wonderful resource of written and oral history, and has written a 639 page manuscript which chronicles some of the families that had lived on Paradise Road. A copy of the manuscript entitled “The Inhabitants of the Neighborhood…… A Pictorial History of Snufftown, now Stockholm, Hardyston Township, Sussex County, New Jersey and it Vicinity” has been donated by her to the West Milford Public Library as a reference source material. The following excerpt is re-published from Author Beth Willis’ manuscript. Paradise was a name given to a small community of farmers living in the foothills of the Ramapo Moutains in West Milford Township. It was a very remote area. The name was derived from the Angle family, or Angel as some old timers called them, that first settled in the area. Elizabeth S. Day gave an account of Paradise from an explanation given to her by her mother, Elizabeth Strait Day. Elizabeth Day was a descendant of John Angle whose brother Samuel Angle settled in the hills of West Milford. “At one time, there was living on the hill, not only the Angle family, but a family named McCloud. A Methodist preacher holding services at the Clinton School house humorously described them in a letter to his father, ‘I preached until the Angels and the Clouds met. It was he who thought that the earthly dwelling place of these celestial beings’ should bear the name of Paradise”. The name has since adhered to the community. There were farmers in this area whose descendants had intermarried with several generations living on their ancestral lands. They were William Kimble, Samuel Angle, Silas VanOrden, William Cole, William Wagoner, John Stickles, and Charles Card. Anthony Ludlow Day saw possibilities of establishing a large farm in the area as well. 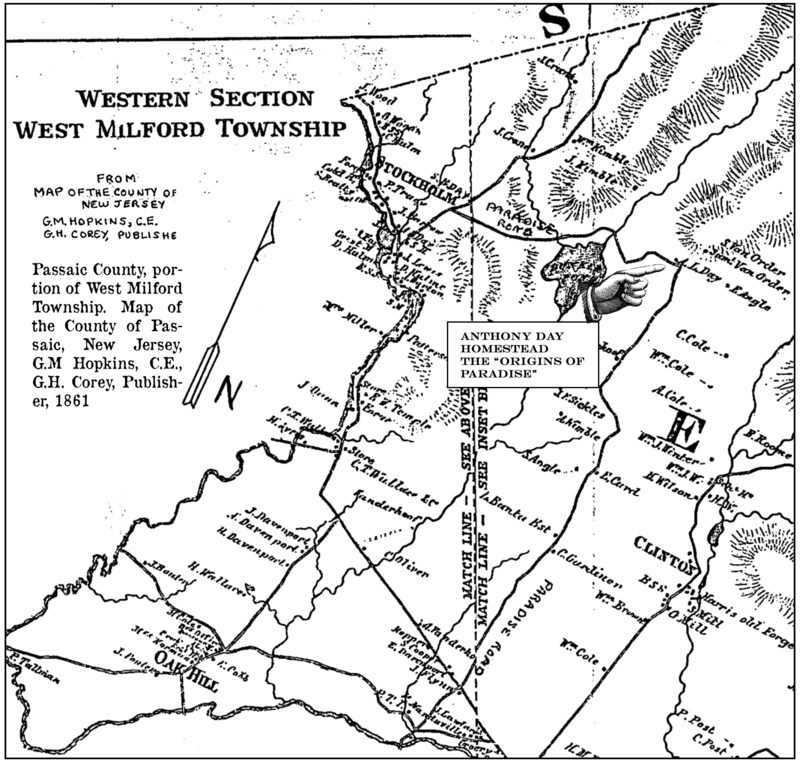 Home sites for these families were shown on the 1861 Hopkins map of West Milford Township. 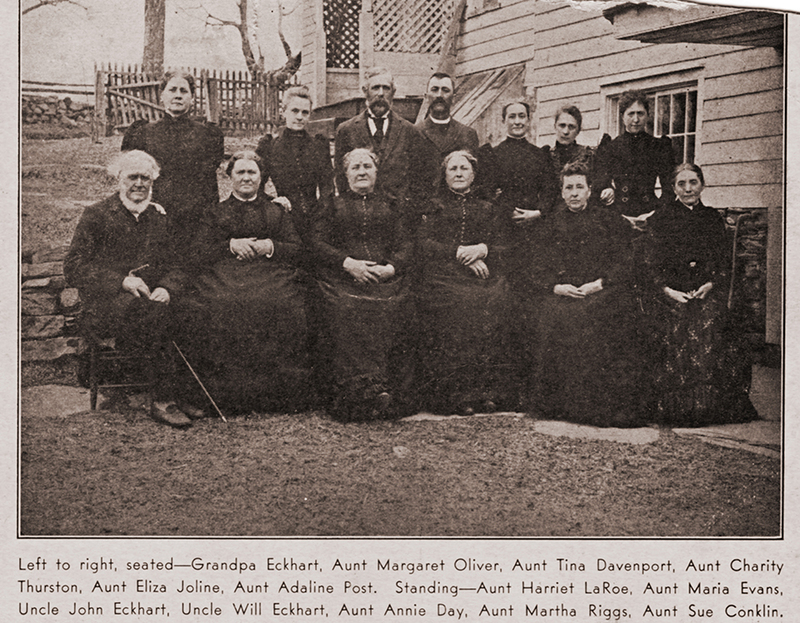 Two descendants of these families eventually wrote extensive histories. One being Elizabeth S. Day about the “Life of Anthony Ludlow Day 1818-1898” written Dec. 25, 1918. The other being “A History of the Old Days” by Ella V. Card which was a compilation of her notes she kept of her family, and typewritten by her daughter, Dessel K. Fehr, in November 1974. 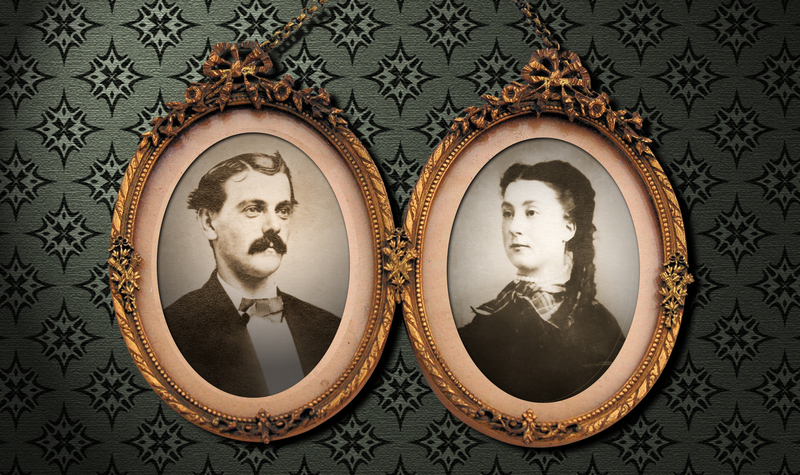 It is from these family histories that this information is based upon. They make delightful reading as to the insight of their lives and times. The lands in West Milford Township were subject to the land acquisitions by the East Jersey Water Company for building the Clinton Reservoir. Later, the City of Newark acquired additional lands to insure the quality of the water be free from pollution. Most of the area consisted of small farms of poor farmers who were willing to sell their lands. There were only a few properties that the owners refused to sell to the City of Newark. 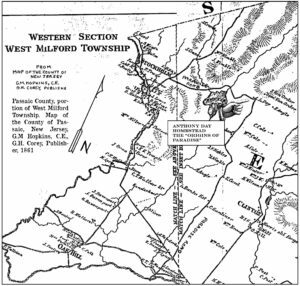 Though the lands in West Milford were not researched, the history of the area is based on the writings of Elizabeth S. Day and Ella V. Card. 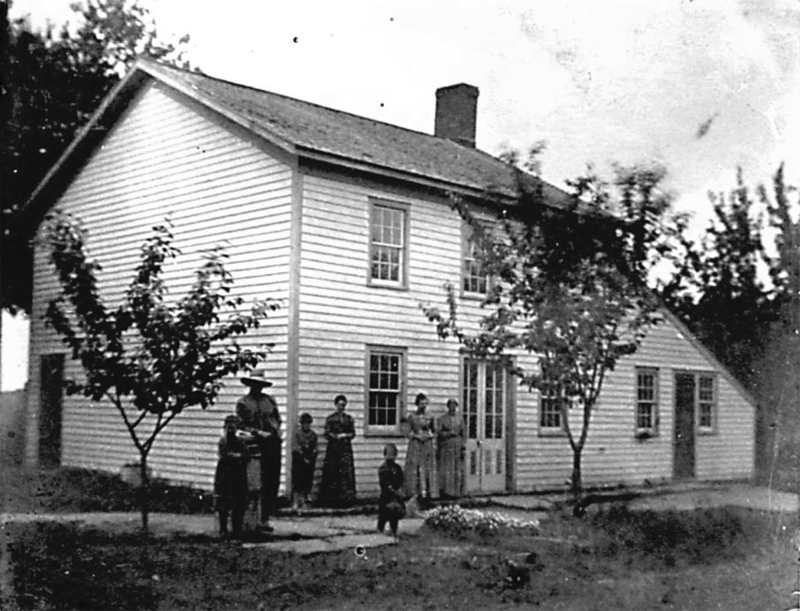 From the Day photo collection is a picture of the Day homestead. The photograph was taken by J.P. Crayon, probably in the 1880’s. Just below the lands of Silas B. Day was a fork in the road. The fork to the left was the Canistear Road, and the fork to the right was called Dunker Pond Road. It was a very windy road and made a few sharp curves that eventually led to the Paradise Road bounding on the east lines of Anthony L. Day’s property. Then, it intersected with the Paradise Road that is a north- south road which traveling southerly one would come into the Newfoundland area. From “Life of Anthony L. Day”, by Elizabeth S. Day is an account of the Dunker Pond Road. When writing the history of her father, Elizabeth visited the homestead, and along the route took photographs to preserve its history. These pictures ware part of the Strait and Walther Photo Collections taken about 1910-1915. Elizabeth wrote, “The highway from Stockholm ran through the middle of the low grounds and right across, or through a perpetual pool of water, which father and mother, after reading Pilgrim’s Progress, had named ‘the Slough of Despond’. “Tons of logs and stones and other material had been dumped into this pool to make a causeway over which teams could pass, but additional material was always needed to make the road safe. Occasionally one of our cows became mired in the pool beside the road and could be extricated only with the greatest difficulty. Once father sought to measure the depth of the pool. Three iron rods, each twelve feet long, were let down by the side of the road and screwed together as they were lowered. The extended rod, thus made was thirty- six feet long, failed to touch bottom! Through father’s influence, the county afterward placed a substantial bridge over the ‘Slough of Despond’. Continuing easterly on the road, one would come to Dunker Pond. Elizabeth wrote, “Thinking to reclaim more of this fertile land, father spent about fifteen hundred dollars in blasting out the rocks which formed a natural dam at the outlet of Dunker Pond. Because of this work, done at the suggestion and under the superintendence of Edgar, the surface of the pond was lowered about three feet and the draining of the valley rendered more complete”. As one continued across the low ground toward Paradise, “the road came to the foot of the large hill on the eastern side of the valley, and then climbed abruptly up to the farmhouse, which stood about a hundred feet higher than the valley below. This long hill had always taxed the strength of horses, and drivers were obligated to halt their teams for rest two or three times on each upward journey. Another appropriate name was borrowed from Pilgrim’s Progress and this long, tedious pull from the low grounds became the ‘Hill of Difficulty’. 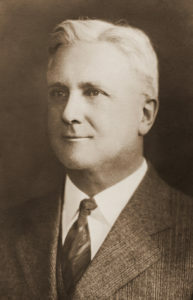 In 1903, an employee of Thomas Edison’s motion picture company produced a movie with a story. 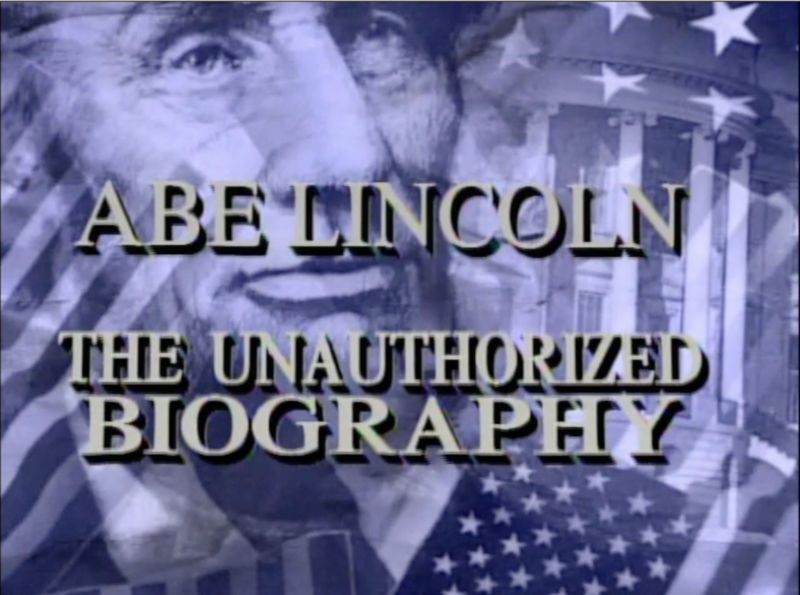 At twelve minutes long, the movie was considered a milestone in film making. The early motion picture used a number of then-unconventional techniques, including composite editing, on-location shooting, and frequent camera movement. It was called “The Great Train Robbery.” It told a simple story of a group of western criminals who steal money from a train. Later they are killed by a group of police in a gun fight. The movie was extremely popular. “The Great Train Robbery” started the huge motion picture industry. Scenes were filmed along the Pequonnock River and along the Sequehanna Railroad with tracks still running through Newfoundland. Edison was no stranger to Newfoundland. 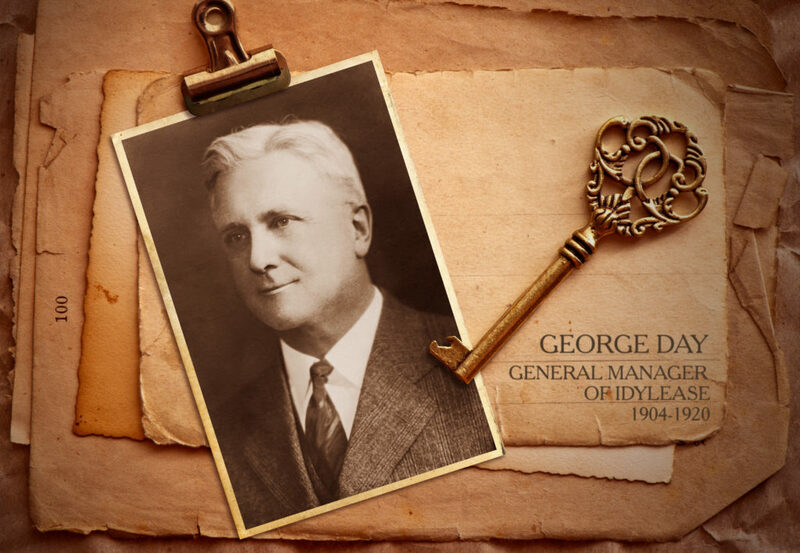 F. Fichter Hoagan, a longtime business manager at Idylease often reminisced about the days when Thomas Edison would spend an evening at Idylease while working on a magnetic ore extracting device at the Franklin/Ogdensberg Mine. He fished on the banks of the Pequonnock River and would have his car serviced at a garage in Newfoundland when heading to the mines in Franklin from his lab in West Orange. Historically, New Jersey is the recognized as the birthplace of the motion picture industry. In 1892, the motion picture industry was launched in the state with the erection of the world’s first motion picture studio at the Edison Laboratory in West Orange. It was a small, frame building, black inside and out and mounted on a revolving base so that the sun could be followed. This studio was called the Kinetographic Theatre, but was better known as the Black Maria. In 1978, Paramount Pictures filmed scenes for the Movie King of the Gypsies in Newfoundland. The film starred Eric Roberts, Sterling Hayden, Shelley Winters, Susan Sarandon, Brooke Shields, Annette O’Toole and Judd Hirsch. Between 1995 and 1997, David Schoner, Location Coordinator of the NJ Film Commission brought two film companies to Idylease as production sites. The sketch comedy television series “The State”, was broadcast on MTV between December 17, 1993, and July 1, 1995. The show combined bizarre characters and scenarios to present sketches that won the favor of its target teenaged audience. Season 2, Episode 3 entitled “Lincoln Logs” was filmed on the main porch and in the lobby of Idylease. The MTV Music Video from the album “Sunshine In Popopia” by Battershell was Filmed at Idylease in 1997 utilizing the blacksmith shop and grounds at Idylease. 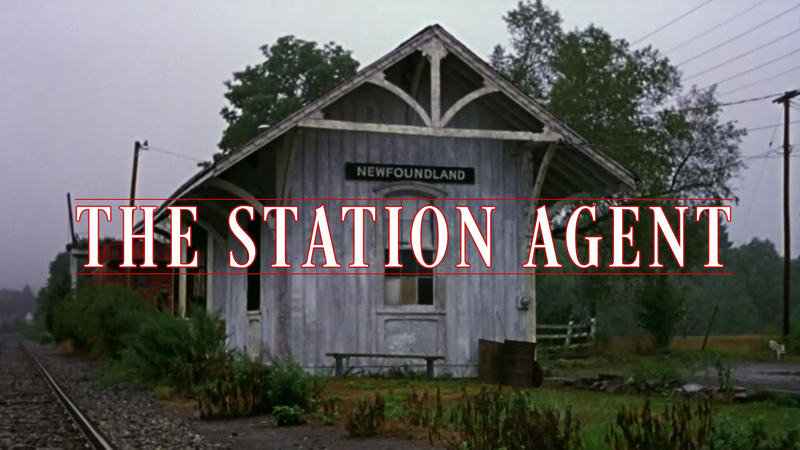 In 2003 Miramax Pictures filmed the independent feature film “The Station Agent” at the Newfoundland Train Station. Located off of Route 23 off Greenpond Road is the wooden train station built in 1872 that was the focal point of the movie. The film chronicles Finbar McBride’s (Peter Dinklage) move to an abandoned Newfoundland train station, to live the life of a hermit. His attempt at solitude is soon interrupted, however, by interactions with his neighbors, including Olivia, a struggling artist coping with the recent death of her young son, and Joe, a thirty-year-old with a talent for cooking and an insatiable hunger for conversation–whether anyone wants to talk to him or not. New Jersey was the film capital of the world during the early years of its inception with a long and varied history of location shooting. 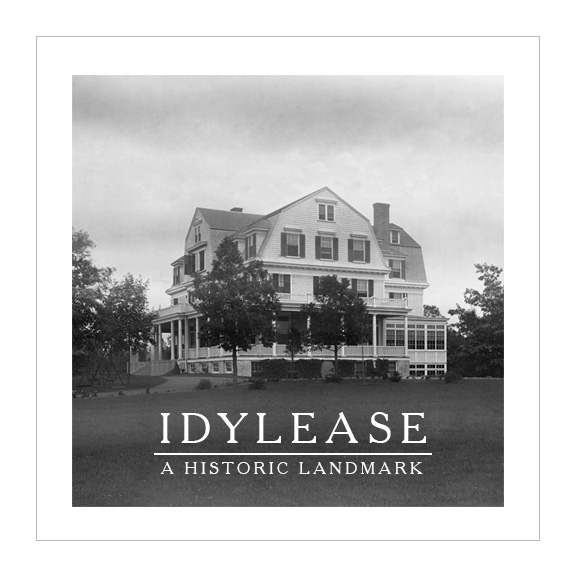 No doubt Idylease will serve as the locale for future productions in the State of New Jersey and thus– adding to its illustrious history.